Since 2005, the Foundation for a Culture of Peace and its delegations (Barcelona, Santiago de Compostela and CEIPAZ) have been working in the promotion of a Culture of Peace and non-violence at all levels. Here below, we highlight some of the diferent activites that have been undertaken by our organization to promote a Culture of Peace since 2005.
b) Publication of articles in the major Spanish newspapers as well as in international ones. From 2005 to 2006, Federico Mayor, by the appointment of the Secretary General of UN, acted as the Co-Chair of the UN High Level Group for the Alliance of Civilisations, a UN process developped on the basis and principles of a Culture of Peace, that became part of the Culture of Peace item. of the UN General Assembly. The FCP has been also developping and updating its web page, which recently has open spaces in Facebook and Youtube, including a large e-library of documentation related with the Culture of Peace. -High Level Meeting and Declaration of Montserrat on “Religions and Peace”, April 2008. -Seminar on “Migrations & Interculturality, two keys of our times” October 2009. -Seminar on “Climate Change and Peace: The impact of Climate Change on International Peace and Security and its Humanitarian Dimension”, November 2009, as part of the COOP+15 process. From 2005 to 2006, the FCPB acted also as Office of the Co-Chair of the UN High Level Group for the Alliance of Civilizations, mentioned above. 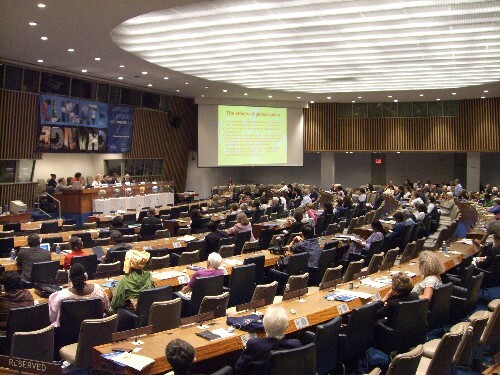 Moreover it has participated in a large number of international meetings and processes linked to the Culture of Peace. As part of the commemoration of the 10th anniversary of the Declaration and Plan of Action for a Culture of Peace (1999-2009), a joint project has been developed together with IPS – Inter Press Service, with a series of journalists articles by internationally renowned authors which have been widely translated and distributed via traditional print media (with more than 500.000 print copies of each article, some of them with more than 1.000.000 printed copies) and electronic media. SGEP is also responsible for the organisation and promotion of the Week on Peace and Non-Violence in the Schools in the whole region of Galicia, organizing activities and new educational materials and kits every year. Currently, one of the most relevant initiatives that SGEP is organising is “Forum 2010”, a large container of international events and activities around the Culture of Peace. This will take place taking into account that in 2010 several remarkable events take place, including the conclusion of a new Year of St James of Compostela, date and meeting place for millions of people, the end of the United Nations Decade for a Culture of Peace and Nonviolence (2001-2010), ten years since the existence of Millennium Goals (MDG+10) and of the implementation of the Declaration and Programme of Action for a Culture of Peace. 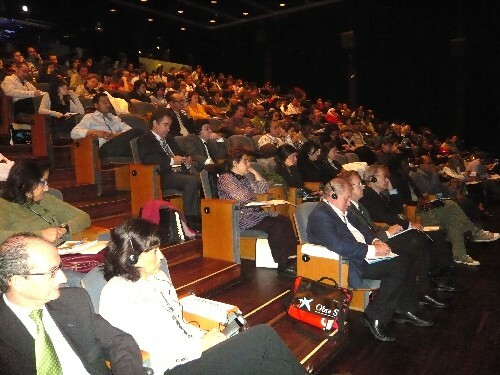 It also marks 10 years since the World Social Forum, and the World Education Forum, born in Porto Alegre. - CENTRO DE EDUCACIÓN E INVESTIGACIÓN PARA LA PAZ-CEIPAZ: It is a centre devoted to the study and divulgation from a multidisciplinary perspective the relation between conflicts, Development and education. It analyses the tendencies in the international system and promotes education for development and peace. To commemorate the tenth anniversary of the resolution 1325 approved by the UN Security Council in 2000, the publication “1325 mujeres tejiendo para la paz” and seminars and conference have been organised for this purpose. It has also being developing, within its web, an imprtant Virtual Library of Research on Peace, and different new e-tools, such as blogs and others.